You’ve heard it before. Whether it be in a Next Step video series, through our website, or even in a casual conversation with one of our staff. Next Step is a place where short term missions collide with long term community development. Can I let you in on a little secret? While short term missions can easily be seen as youth groups travel across the country to serve in various cities, long term community development can at times feel like one giant puzzle with a couple of missing pieces. BUT, when you find those pieces, completing that puzzle is so worth it. Since 2014, Next Step has partnered with an organization located in the heart of downtown OKC known as Cross and Crown. While this ministry does a variety of services for the neighborhood around it, the crux of what they do is rooted in declaring the name of Jesus to each and every person that walks through their doors. During our very first summer, Next Step began working on a very special project. Built in the early 1900’s and located next-door to the mission, sits a house that the Cross and Crown director felt would make a great home for women to escape from abusive relationships, living on the streets, or simply needing a clean slate. For the last several summers, students and leaders have worked so hard to make this dream a reality for the mission and for the women of this community. As many projects go, most of the work that could be accomplished by Next Step volunteers had been finished, but it was the speciality work (plumbing and electric) that needed to be tended to before the finishing work could begin. Remember that secret I shared with you earlier? This is where the missing puzzle piece search begins. During the project planning process, you always want to plan to see progress on the projects that have yet to be completed. However, plumbing and electric work offers a strange new dilemma, but an awesome opportunity to pursue the local community. 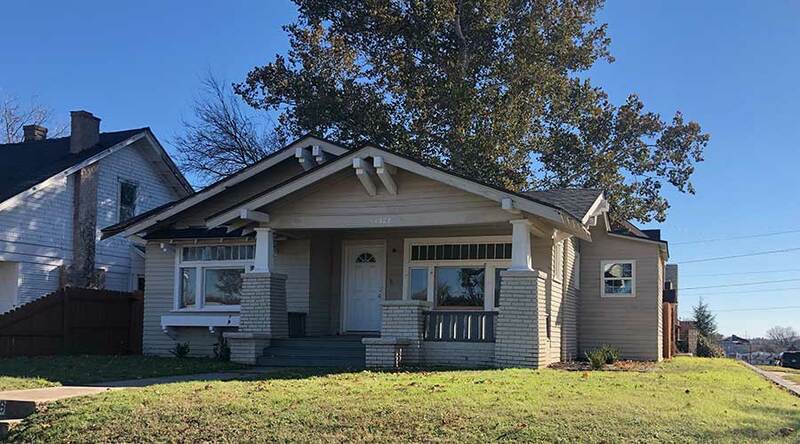 So while preparing this particular home for the summer, we have also been looking for groups in the city who could help get this house one step closer to completion. When many of the ideas that had been brought to the table seemed to lead to a dead end, Jesus began to flex. After many conversations with a local OKC church around what Next Step does, where we work, and the part they play in the work God is doing in OKC, I’m beyond pleased to tell you that God provided in a BIG way. The church was so moved by what Cross and Crown has been doing in the community and loved hearing about how they planned to help the many women that will have the opportunity to live in the Women’s Center. With God’s provision, this church was able to make a donation that would help finish the electrical AND plumbing work of this home! As we are drawing nearer to Thanksgiving, I can’t help but look at all that has transpired over the last several weeks and breathe out a sigh of pure gratefulness for God’s provision on this project. Long term community development is not always clear cut and easy. It takes stepping out in faith when you aren’t sure where the next step will take you. However in placing one foot in front of the other, God guides and he most definitely provides! Please join me as we celebrate the ways God is providing for all of our Next Step communities this year, and that he would continue to bless each of the ministries that we have the opportunity to work with!